Although fire is beneficial in many different ways, from cooking to heating our homes, it should always be regarded with respect. After all, it doesn’t take very much to start a fire that grows out of control. In fact, even something as simple as leaving a space heater on too close to a flammable material can create a dangerous fire hazard. Less obvious things are also a hazard, like leaving the coffee pot on all day. Fortunately, fires can also be prevented with a little bit of preparation and a solid foundation on fire safety. For example, one of the best ways to stay fire safe in the home, school or workplace, is to remain aware of any potential fire hazards in the area, and always have an escape plan visible. An escape plan should have at least two exit paths in the case of an emergency, and an agreed upon meeting place where everyone can gather once they are out of the building. Fire escape routes should be regularly rehearsed to ensure that everyone is familiar with the plan ahead of time. Fire Safety Tips from Arthur – Learn about staying safe in the event of a fire, like getting prepared by regularly testing fire alarms. Fire Safety Activities and Games – Discover facts about fire safety through interactive games, activities and worksheets. Fire Truck Arcade – Learn more about fire trucks, like where they keep all of the fire safety equipment, by playing this fun game. Fire Safety Trivia – Find out how much you know about fire safety with this interactive trivia sheet. Fire Safety for Kids – Play fun games while you learn how to stay safe if there’s a fire. National Fire Protection Association – Read through fire safety tip sheets, play fire safety games and learn more about fire safety week. Fire Safety with Smokey the Bear – Learn about preventing fires from starting inside and outside of the home. Fire Safety Tips for Kids – Read through a sheet of tips and statistics presented by the city of San Diego. Fire Prevention for Kids – Learn about preventing household appliances from becoming fire hazards. Fire and Burn Prevention – Learn about preventing fires and burns by taking interactive quizzes and playing games. 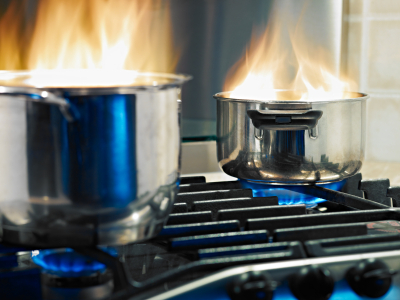 Fire Safety Facts – Check out important facts concerning fire safety and prevention. Classroom Fire Safety Activities – Browse through a list of free printable worksheets and activities to help kids learn about fire safety. Fire Safety Teaching Tips – Learn how to teach fire safety to children with disabilities. Practice Escape Plan – Help kids learn the importance of an escape plan with this fire safety worksheet. Fire Safety Lesson Plan – Check out a sample lesson plan geared towards teaching kids about fire safety. Fire Safety Activities – Browse through a list of links about fire safety curriculums, facts, statistics and coloring activities. Kindergarten Fire Safety Lesson Plan – Read through a lesson plan to help teach kids how to stop, drop and roll. Fire Prevention Week – Choose from a comprehensive list of activities, games, and lesson plans that are geared for preschool children. Fire Safety Facts and Statistics – Gain insight about the cause of most fires, the dangers of smoking indoors and statistics about children playing with matches. Involve Kids in Fire Safety – Read through a compilation of fire safety facts, activities and other resources. Fire Safety for Parents – Learn how to make your home a safer place to live, including tips for creating a fire escape plan. Teaching Parents about Fire Safety – Find out how much you really know about fire safety and prevention in this short guide. Fire Safety Planning for Parents – Learn about smoke detectors, home fire drills and the importance of having a fire escape plan. Fire Prevention for Parents – Read though tips on teaching fire safety to kids. Fire Safety Checklist – Check out an interactive checklist that will help the entire family make sure the house is free from fire hazards. Fire Safety Tips for Parents – Learn about the risks of fire play and how to approach children about fire safety. Fire Safety Standards – Learn about fire safety standards and ways to teach your child about staying safe while they’re studying abroad. Building Fire Safety – Learn more about keeping your home and other buildings safe from fires. Fire Safety for Parents and Caregivers – Find out how to make sure your baby sitter knows how to keep your child safe in the event of a fire. Fire Safety Advice – Learn about talking with kids about fire, planning escape routes and how to leave fire safety instructions for caregivers.